There are other major obstacles in establishing a comprehensive response system to violence against women in Russia. One of them is that currently in the Russian Federation there is no National Machinery that would correspond to the definition of the Beijing Platform of Action. Although in 2010 as a result of the CEDAW recommendations to the State Report the Russian government established an inter-agency Council on Gender issues under the Ministry of Labor, the status of this Council does not respond to all the requirements. The Council rather has a consultative status and does not have power and resources to influence policy making on the part of the State in the area of advancement of women and contributing to gender equality. Another mechanism within the Parliament of the Russian Federation is the Committee on Family, Women and Children that was initially established to serve as the National Machinery. At the beginning the Committee was functioning in compliance with its objectives. However, today the Committee acts in conformity with the recent discriminatory trends in terms of women’s human rights. For instance, the former head of the Committee Elena Mizulina proposed an amendment to the Russian Constitution, making the Russian Orthodox Church central to national and cultural identity, including the area of women’s human rights. Thus, Ms. Mizuling introduced a bill to remove abortions from the list of free medical care, restricting state medical coverage to abortions only in cases where the mother’s life is in danger, as well as introducing fines for abortions in private clinics. This report is prepared by a group of experts under leadership of “ANNA” Centre for the Prevention of Violence. The Report covers areas of concern in regards to women’s rights especially violence against women with assessment of the state system of tackling violent incidents against women, hence the emphasis in the report on the analysis of the current law and practice. The monitoring was conducted in Russia in 2010—2015. The monitoring results do not claim to be comprehensive; however, they do provide a general assessment of the situation, identify key problems and trends, evaluate the steps taken to resolve them and analyse existing obstacles. The list of violent incidents contained in the report is neither exhaustive nor representative; however it is a vivid illustration of the nature and scope of violence committed against women in Russia. General public does not have a clear understanding of a role of the civil society organizations and therefore does not support civil society organizations (CSO). This understanding of civil society and CSOs on the part of average citizens and the authorities can relate to their vision and/or experiences of public activities in the Soviet period when public activism meant either close cooperation with the state or being a dissident. Both interpretations mentioned above imply lack of trust to CSOs and NGOs, and sometimes fear, and as a result scarce involvement of community members to the civil society activities. For example, most of the support that business provides to non-profit organizations is still focused in the area of supporting of people with disabilities, children with special needs and orphans. It is because these types of activities are in a way “obvious” in terms of what are the vulnerable groups and do not require any extra defining of personal views and values, in other words they are easier to understand. 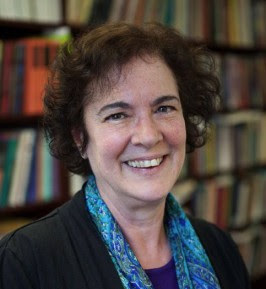 Lila Abu-Lughod is the Joseph L. Buttenwieser Professor of Social Science at Columbia University, and Professor of Anthropology and Women’s and Gender Studies. Her courses focus on gender politics and nationalism in the Muslim world and on liberalism, culture, and the politics of human and women’s rights. A leading voice in debates about gender, Islam, and global policy, her books and publications have been translated into more than 13 languages. Abu-Lughod's early work was on emotion, poetry, and gender ideology in a Bedouin community in Egypt. As an anthropologist of the Middle East, Professor Abu-Lughod could not avoid the politics of representation and so began to think about ethnographic writing itself, developing a critique of the concept of culture. Interests in gender in the Arab world and in postcolonial theory led to some work on the history and contemporary politics of Middle Eastern feminisms. She returned to the study of popular culture in ethnographic work on Egyptian television soap operas as they relate to national pedagogy, class politics, religious and gender identity, and modern subjectivities. Questions of national identification, violent disruption, and memory are at the center of work Professor Abu-Lughod then did on the Palestinian experience of 1948. She has just completed a book on the international circulation of discourses about the "oppressed Muslim woman." Publications include: Veiled Sentiments: Honor and Poetry in a Bedouin Society (1986), Writing Women's Worlds: Bedouin Stories (1993), Dramas of Nationhood: The Politics of Television in Egypt (2005), Nakba: Palestine, 1948, and the Claims of Memory (2007), and Do Muslim Women Need Saving? (Harvard University Press, 2013). She co-edited CSSD's Womens Rights, Muslim Family Law, and the Politics of Consent: Working Papers (December 2011). Spreading gender stereotypes is another significant obstacle in combating violence against women in Russia. In the last five years there is an increasing renaissance of what is called “traditional values”. The problem is that it is defined based on old cultural views on women’s roles in a family and in the society. However, despite the activities recently launched by progressive forces of the Russian Orthodox Church that are aimed at changing attitudes to domestic violence, there are active conservative groups like “Parental committee” or the All-Russian movement ‘Parents’ Meeting’ that publicly try to promote physical punishment in a family as a cultural tradition. The stereotype of a woman that primarily is a mother and a ‘domestic goddess’ is being enforced in the society. These discriminatory sentiments and practices are easily maintainable in the environment where gender equality and women’s human rights issues are rejected and considered to be the matters of alien ideology and “foreign” influence both by the state and the general public. Due to the abovementioned facts the lack of gender education and the courses on women’s human rights in the curricula of universities and schools is observed. By law, fathers can get 6 months paternity leave on almost full pay, but they face such abuse and harassment from bosses and fellow workers, hardly anyone claims this right. See the reasons how this has happened. 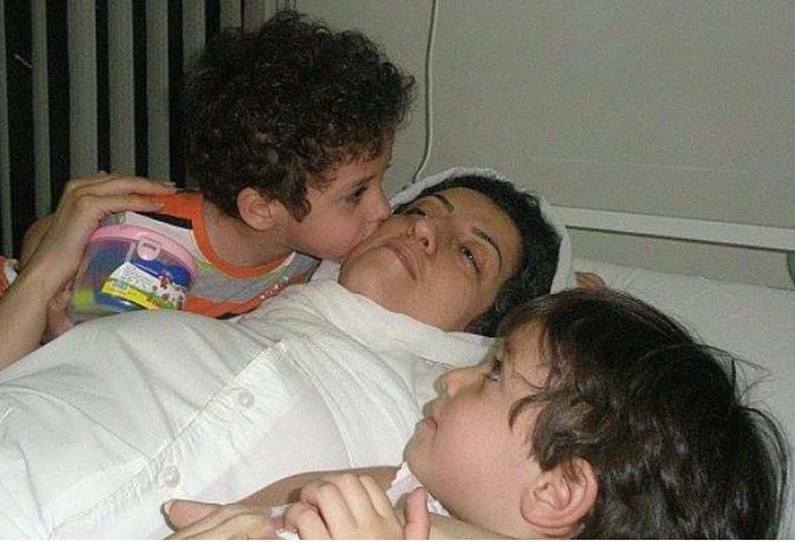 Iranian human rights defender and prisoner of conscience, Narges Mohammadi, has been informed that her court hearing is scheduled on 20 April. She has not been allowed to make any contact with her children for over eight months. She remains critically ill. Urging them to allow her regular contact with her lawyer and visits and phone calls from her family, including her children. 2) For the full Urgent Action, including appeal addresses and further information, please click on the PDF version below. .OR fill out this short online form to let us know how you took action. Narges Mohammadi had begun serving a six-year jail sentence in April 2012, for “gathering and colluding to commit crimes against national security” and “spreading propaganda against the system” through her human rights activism. She was released three months later, after being granted leave from prison to obtain medical treatment for a health condition that caused partial paralysis, which was exacerbated by her imprisonment. She has also suffered from seizures and temporary loss of vision. Before she was arrested in May 2015, Narges Mohammadi told Amnesty International, that her charges including “spreading propaganda against the system” and “gathering and colluding to commit crimes against national security” stemmed solely from her peaceful human rights activism. She said the “evidence” used against her included her media interviews, the fact that she had taken part in gatherings outside prisons before executions to support the families of death row prisoners, her connections with other human rights defenders and her March 2014 meeting with the European Union’s then High Representative for Foreign Affairs and Security Policy, Catherine Ashton. Narges Mohammadi has also been charged with “membership of an illegal organization whose aim is to harm national security”, because she set up a group campaigning against the death penalty in Iran, Step by Step to Stop the Death Penalty. Since the adoption of amendments to the Penal Code of the Russian Federation in 2003, there has been a significant change in examining cases of domestic violence. Most of them have fallen into the category of private prosecution cases (Article 115, 116. Part1, Article 129 and Article 130 of the Penal Code of the Russian Federation). From the perspective of legislators, this is justified on the basis that these crimes affect the rights and interests of specific citizens and it depends on them whether or not criminal proceedings are initiated against the offenders. However, in practice, this has meant that victims have been left virtually without protection from the State. Article 20 of the Code of Criminal Procedure provides that private prosecution cases may be initiated only on the basis of the statement of the injured party and are subject to termination if the parties have reconciled. The case is considered opened when the aggrieved party files a complaint that meets the requirements set forth in Article 318 of the Code of Criminal Procedure of Russia with a magistrate. If the complaint meets the requirements, the magistrate initiates the proceedings and the injured party becomes a private claimant. Thus, the aggrieved party in cases of private prosecution has to perform a dual role. On the one hand, as the victim, she is entitled to have her interests protected by the State. However, this depends solely on her will and is instigated only at her own volition. On the other hand, she has to act as a prosecutor, to present evidence, to formulate the charges and to seek the conviction of the guilty party. To serve as a prosecutor assumes knowledge of the prosecution process, the foundations of criminal law, the rules of gathering and presenting evidence. It is obvious that ordinary citizens do not possess such knowledge, and therefore are unable to properly present their case in court. When, in addition to issues raised above, the same question pertains to victims of domestic violence, a great role is played by the factors of post-traumatic stress, to which the victim is subject, as well as to the stage in the cycle of violence during which the complaint is filed. It should be noted that the victim usually continues to live with the abuser in one apartment, which gives him the opportunity to pressure and to intimidate her. As a result, according to court statistics, the vast majority of cases of private complaint (90%) are terminated for two reasons: (1) The failure to fulfil the court's requirements to resolve the shortcomings of the complaint; (2) The reconciliation of the parties. Typically, at the stage of filing the complaint, victims are unable to fulfil all the requirements, not only because of legal ignorance, but because of post-traumatic stress disorder as a result of the act of violence. 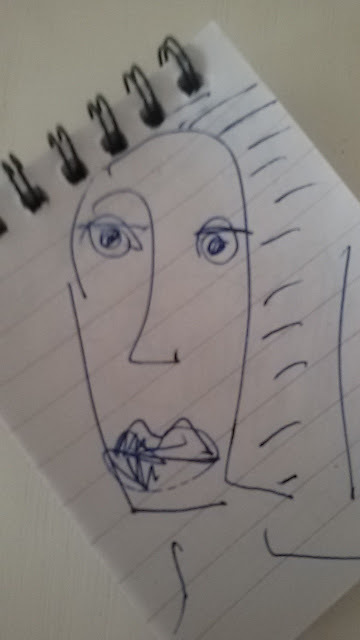 This happens because the complaints are usually filed immediately after the violence has occurred, while at that time the cycle of violence is passing into the stage of repentance by the abuser and forgiveness (reconciliation) by the victim. Women feeling guilty and believing the words of the abuser that violence will not happen again, remove the complaint and agree to reconciliation. Thus, treatment of most cases of domestic violence as cases of private prosecutions contributes to impunity for crimes committed against women and leads to tragedies. For instance, in August 2015 Oleg Belov, man from Nizhny Novgorod, killed and dismembered his six children, all younger than 6, and his wife, Julia Zaytseva. All had been hacked to pieces with an axe and bundled into plastic bags in their apartment. In 2014 и 2015 Julia Zaytseva repeatedly (no less than six times) appealed to the police reporting perpetration of violence against herself and her children on the part of her husband. However, police could not initiate a criminal case as the abovementioned incidents are classified as cases of private prosecution. In the General Recommendation No. 19 of the Convention the Committee Stated that State parties should ensure that laws against family violence and abuse and other forms of gender-based violence give adequate protection to all women, and respect their integrity and dignity (§ 24 (b)). The Russian Federation has not adopted comprehensive legislation aimed at prevention and efficient investigation of domestic violence, provision of comprehensive support to the victims and compensation. The other significant components that are to be included in the system of response to domestic violence are specific training for professionals dealing with cases of domestic violence and coordinated interagency cooperation. These components are fragmentarily present in several regions of Russia and can serve as models for the state system of response. For example, in Yekaterinburg and the Sverdlovsk Region the regional court is the core of interagency cooperation at the regional level in terms of responding to cases of domestic violence against women. According to CEDAW, the Russian Federation is obliged to take all appropriate measures to eliminate discrimination against women by any person, organization or enterprise (article 2 (e)) and to take all appropriate measures, including legislation, to modify or abolish existing laws, regulations, customs and practices which constitute discrimination against women (article 2 (f)). The Convention also requires that the state modify the social and cultural patterns of conduct of men and women, with a view to achieving the elimination of prejudices and customary and all other practices which are based on the idea of the inferiority or the superiority of either of the sexes or on stereotyped roles for men and women (article 5 (a)). Article 16 (1) of the Convention obliges the states to take all appropriate measures to eliminate discrimination against women in all matters relating to marriage and family relations. Statistical data on crimes of domestic violence against women is fragmental and difficult to obtain. At the same time according to the statistics of the Ministry of Internal Affaires women were 74% among of all victims of domestic violence in 2013, and in 91% of cases violence was committed by a husband. Lack of knowledge and understanding of women’s human rights and system of response contributes to impunity for crimes committed against women. According to ANNA statistics (2014), 72% of women that turned to the National help line for women suffering from domestic violence never sought help from the police. Of those women who did 80% were unsatisfied with police response. Despite the work done to combat violence against women in Russia over the last 20 years, a systemic approach at government level does not exist. We are deeply concerned by the high level of violence against women in families, by the number of murdered women and by the latency of sexual violence. Agencies involved in the response to domestic violence in Russia are police, social services, judges and healthcare settings. Social services are currently the main entry point for survivors of domestic violence into the state response system. 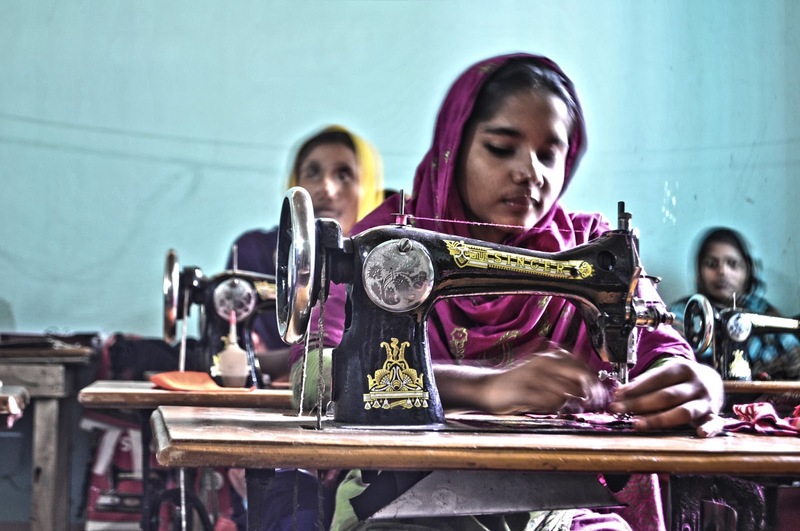 According to the data of the Ministry of Labour and Social Protection, in 2013 there were 1,333 social services providing assistance to women in a “difficult life situation”. Domestic violence is included in this category. However, the concept of a "social services" establishment includes not only specialized crisis centres and social shelters, but rather a wide range of agencies: social assistance centres for family and children; centres for psychological and pedagogical assistance to the population; centres for emergency telephone psychological assistance; social rehabilitation centres for juveniles, etc. Thus, there are a vast variety of social problems addressed through these agencies where services for women victims of violence are only a small part. Indeed only 42 are shelters that offer specialized assistance to women who are victims of domestic violence. Some of these combine the extension of assistance to victims of domestic violence with helping other categories of women like underage mothers. Another obstacle in access to services is that in order to get a place at a shelter women have to be residents of that region. Another important agency in the state system of response to domestic violence cases is police. However, in Russia under the existing legislation it is difficult to prosecute cases of domestic violence (even physical violence, which has ensuing visible evidence). None of the above-mentioned articles takes into consideration the relationship between a perpetrator and a victim. Repeated acts of violence against the same person are not specifically criminalized under Russian law. Article 18 of the Russian Criminal Code excludes "records of convictions for intentional crimes of small gravity" or of conditional sentences to be taken into account when considering recidivism of crimes. Only Article 117 of the Russian Criminal Code (torture, the causing of physical or mental suffering by means of the systematic infliction of beatings or other forcible actions) takes into consideration the following aggravating circumstances: the victim is a minor, apparently helpless "or materially or otherwise dependent on the guilty person". However, this article is rarely invoked. The justice system considers violence committed in a public place against a stranger, to be a much greater social danger than the same actions committed within a family against relatives. Thus, domestic violence is not considered to be a crime against society, but continues to be treated as a private family matter. The main obstacle to obtaining justice for victims is that most cases of domestic violence are brought as private prosecutions. Domestic violence legislation in Bangladesh. An Act to provide as a signatory state of the United Nations Convention on the Elimination of All Forms of Discrimination against Women, 1979 and the Convention on the Children’s Right, 1989 and to establish equal rights for women and children guaranteed in the Constitution of the People’s Republic of Bangladesh prevention of domestic violence, protection of women and children from domestic violence and for matters connected therewith or incidental thereto. In the link below to find out domestic violence legislation in Bangladesh.